Dr. Paul D. Spudis has been named Chief Scientist of Odyssey Moon Limited, the first official contender for the $30M Google Lunar X PRIZE. 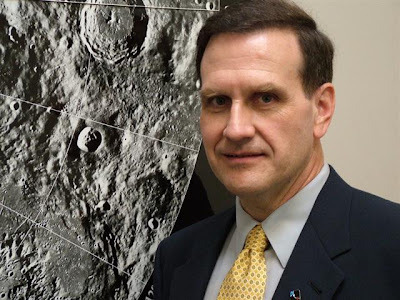 Dr. Spudis is a prominent scientist in the international lunar community and served as deputy science team leader for the highly successful Clementine lunar mission and is the Principal Investigator of the Mini-SAR imaging radar experiment on the forthcoming Chandrayaan-1 mission to the Moon. Dr. Spudis is an outspoken advocate of the Moon as a focus of scientific exploration and human settlement and has served on numerous advisory committees, including the US Presidential Commission on the Implementation of United States Space Exploration Policy. The announcement was made during a NASA Lunar Science Institute conference at NASA Ames Research Center in Mountain View, California.